Frozen Chicken Drumsticks that we offer are widely used for preparing numerous delectable cuisines around the world. We export and supply excellent quality Frozen Chicken Drumsticks that are procured from the reliable sources of the market. 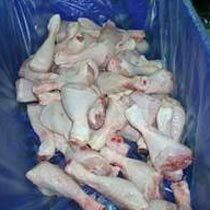 Frozen Chicken Drumsticks that we offer are properly cleaned and hygienically processed. Further, Frozen Chicken Drumsticks are stored at required temperatures in order to retain the growth of unwanted microorganisms.